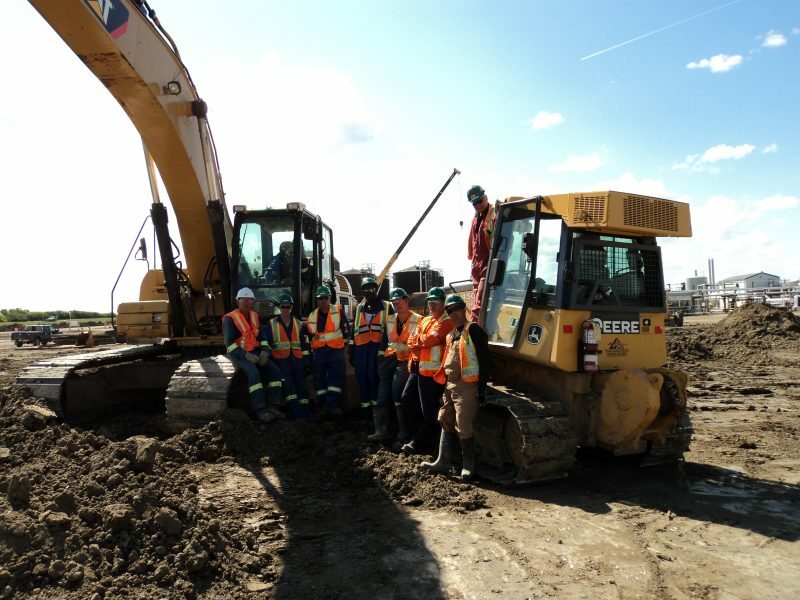 GCS Energy Services Ltd. is committed to ensuring the safety of each worker involved in a project. Personal protective equipment is a worker’s last line of defense to protect a worker from a hazard, after all efforts have been attempted. With proper use and care of PPE, the risk of injury should be minimized as the hazards are controlled. GCS ensures that workers have access to hearing protection and other job specific PPE on every worksite. All Personal Protective Equipment (PPE) must meet or exceed CSA standards or equivalent. Standards may change dependent on the client and job site requirements. GCS provides its workers with a clothing allowance to help assist with PPE costs not provided by GCS Energy Services Ltd.
GCS has a mandatory Hand Protection policy that states all field workers must wear gloves at all times while on site, in an effort to lead by example, and reduce the risk for injuries and incidents.